Towards the tail end of last year, Microsoft announced a somewhat controversial decision to call time on the hugely popular Small Business Server (SBS) 2011 – the last OEM copies of which will be exhausted by the end of 2013. SBS has now been replaced by two flavours of Windows Server 2012 (Essentials and Standard), but unlike their predecessor, neither of which include an email server component – highlighting Microsoft’s intention to ‘guide’ customers towards their cloud/ hosted services. Well and good for countries like Japan, Korea or Sweden for example, but not everyone in the UK can make the switch even if they are prepared to. 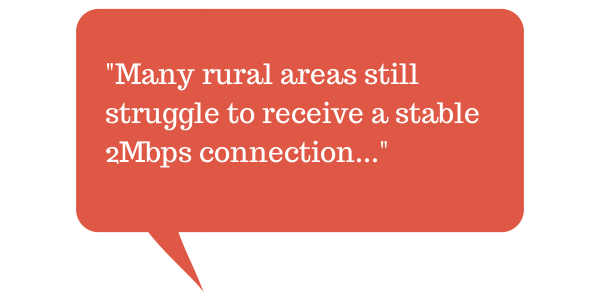 Many rural areas still struggle to receive a stable 2Mbps connection which means the cloud is really a non-starter. Coupled with this, if you’re not keen on handing your data completely over to a third party, or giving up that extra control a local server provides, it’s likely you’ll need to start thinking about on-premise alternatives to Exchange. So what are your options if you can’t, or don’t want to move to cloud-based email? Fortunately there are no shortage of options available to you, and the nice folk over at Spiceworks have pulled together one of their now infamous “Spicelists” which covers the best mail servers across all O/S platforms, both hosted and on-premise, voted for by some of the 2 million independent IT professionals who frequent their busy community forums. The list below is based on the one found on Spiceworks with the exception that any hosted or Linux services have been removed, leaving behind only those entries for Windows-based mail servers. 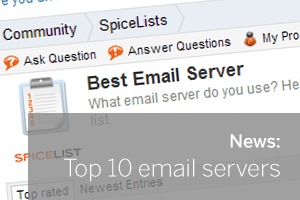 You can find the full and unedited Spiceworks Spicelist here.